Regarded as one of the most influential management books of all time, Organizational Culture and Leadership transforms the abstract concept of culture into a tool that managers and students can continually use to better shape the dynamics of organization and change. 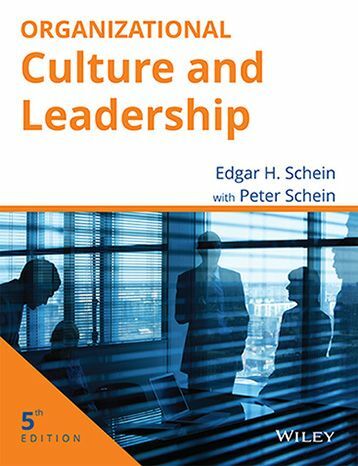 Focusing on today's business realities, Schein draws on a wide range of contemporary research to redefine culture and demonstrate the crucial role leaders play in successfully applying the principles of culture to achieve their organizational goals. He tackles the complex question of how an existing culture can be changed - one of the toughest challenges of leadership. The result is a vital aid to understanding and practicing organizational effectiveness. •Can Organizational Cultures Be Stronger than National Cultures? •Example 3: Fred Smithfield, a "Serial Entrepreneur"
•How Valid Are Clinically Gathered Data? •Why Use Typologies and Why Not? •What of DEC, Ciba-Geigy and Singapore? Did Their Cultures Evolve and Change? •Why Change? Where Is the Pain? •What Might a Learning Culture Look Like?